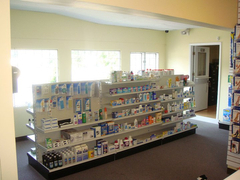 Our pharmacy has been part of the local community since 2011, serving the residents of the eastern panhandle of West Virginia, Sharpsburg Maryland and the surrounding areas. 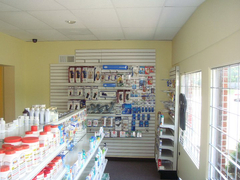 As an independent pharmacy, we’re able to offer quality products and services – at prices that are competitive with the big national chains. 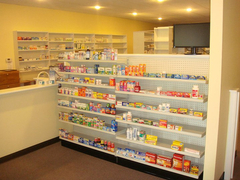 Plus, we offer a special dose of caring that makes you feel right at home. We look forward to getting to know you and for you to experience the value we can bring to your family’s life. Kris is a 1995 graduate from Hedgesville High School. 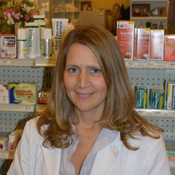 After graduating from WVU School of Pharmacy Doctoral program in 2002, she worked in a variety of small independent pharmacies. 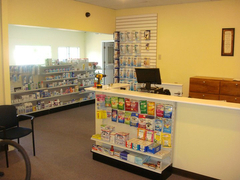 In May of 2011, she and her husband Luke decided to open Shepherdstown Pharmacy in his home town of Shepherdstown. She and her staff enjoy serving both Jefferson and Berkeley counties of WV with the best service possible! Sarah Knipe was born and raised in Berkeley County and graduated from Martinsburg High School in 2010. She attended West Virginia University where she graduated from the School of Pharmacy with a Doctorate in Pharmacy in 2016. 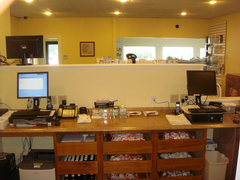 She spent her breaks from school working as an intern at Shepherdstown Pharmacy. 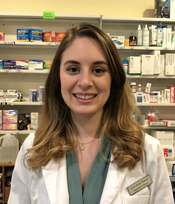 Upon completing her education, she was hired as the Pharmacist in Charge at Shepherdstown Pharmacy where she enjoys serving the community she grew up in.